Join us on one of the company incentive trips!! We have fun, talk very litte busines and enjoy the sites. Great rewards for all your hard work!! With our products and support let us help you be on the trip of a lifetime! Unlimited Disputing/Deletion of all "Bad Credit"
Unlimited Disputing/Deletion of all "Inquiries"
may be tied to bad credit accounts. Rapid Rescore- process originally offered to mortgage applicants in order to update documented account information to the credit bureaus in 72 hours to increase credit scores. The most popular type of accounts updated are credit card accounts. Credit card companies typically update balances to the credit bureaus every 30-90 days. With lower balances reporting, the balance update will increase the credit score. This process has been adapted by RapidRescoreCredit.com and is now offered to the general public, not just those applying for a mortgage. FICO Score- model ranges scores from 300-850. Measure of credit risk based upon credit history using the Fair Isaac and CO. scoring model. The FICO model uses 5 categories to generate the score. These are given percentages of weight to the credit score. 35% of a FICO score is based upon payment history, 30% of a FICO score is based upon credit card balances to limits ratios, 15% of a FICO score is based upon length of credit history, 10% is based upon the number of hard inquiries into a credit report, and lastly 10% is based upon diversity of accounts. Diversity is possessing multiple accounts in varying categories. These include revolving (credit cards), installment (auto, student loans), and mortgage. Vantage Score- Launched in March 2006, VantageScore is a highly predictive and consistent consumer credit scoring model across all three major credit reporting companies (CRCs) - Equifax, Experian and TransUnion. Consumer scores fall within a range of 501 to 990, with higher scores representing a lower likelihood of risk. VantageScore was developed jointly by the CRCs in response to market demand using innovative modeling techniques and based upon their deep industry and data knowledge. VantageScore is independently marketed and sold through the CRCs via licensing arrangements. VantageScore Solutions, LLC, is an independently managed company, holds all the intellectual property rights to VantageScore and is responsible for the continued maintenance and re-validation of the underlying algorithms of VantageScore. Fair Credit Reporting Act- Consumer protection law passed in 1970 that outlines the dispute process, time lines, and responsibilities of all parties involved. Once an account is disputed with TransUnion, Experian, and Equifax they have 30 days to investigate the request. In that time frame once the creditor is contacted they are given 10 calendar days to respond to validate the issue. 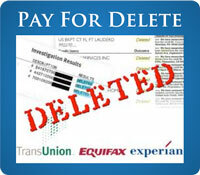 If they do not respond with proper documentation then the credit bureaus will remove the negative item. "Good Credit Score"- Open and active accounts with on time payment history. For revolving credit accounts (credit cards), low balances to limits is also considered a "good" credit account. High balances to credit limits on credit cards is not considered "good credit" or a good credit risk. 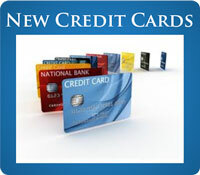 The credit scores will be lowered when the balances increase on credit cards. It is good practice to maintain balances below 30% of their credit limits, or better yet a zero balance to maximize a credit score. "Bad Credit"- Bad credit is defined as late payments, collections, charge-offs, tax liens, foreclosure, and short sale accounts that have found their way onto a credit report. Once this has occurred the damage is done, regardless if the account is paid, released, or closed. These items are to remain on the credit report for 7-10 years, unless removed by the dispute process. No Credit Score - Credit scores are generated based upon recent data reported to the credit bureaus. If there is no data reporting over a 12 month period, a credit score will not be generated. Note: Avalon will not invoice until the work is complete.